Happy Thanksgiving from Nickie the Pug! When it comes to indulging in tasty food and spending the rest of the relaxing with the family, pugs are definitely experts. 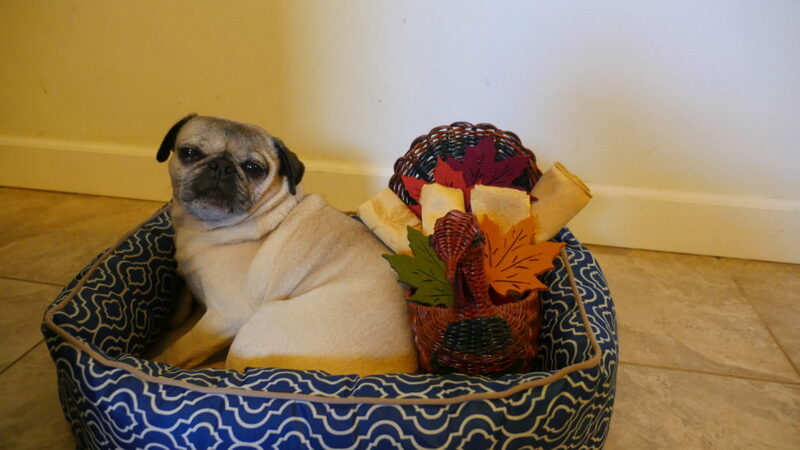 Nickie the Pug would like to wish all of you a very happy Thanksgiving! The house is full of delicious smells, and she can’t wait for turkey time! We’re spending this morning reflecting on all the things we are thankful for, including our wonderful pug friends.